Gift certificates can be used for anything on TwinCitiesGolfStore.com including events, handicap membership, golf passes, etc. Please allow 5 business days for your order to be processed and the gift certificate to be mailed to you. $50 TwinCitiesGolf.com Gift Certificate. Please allow 5 business days for your order to be processed and the gift certificate to be mailed to you. Receive 1 hour of simulator time daily during December at Inside Edge Golf simulators in Eden Prairie for only $99(+tx). Valid Monday through Friday ANYTIME and Saturday/Sunday AFTER 1:00PM. Valid towards CLASSIC simulator bays. 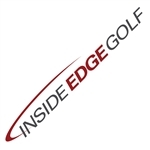 Get unlimited group golf lessons at Inside Edge Golf with Bryan Skavnak PGA and receive 1 hour of simulator time daily (valid Monday through Friday ANYTIME and Saturday/Sunday AFTER 1:00PM) during December at Inside Edge Golf simulators in Eden Prairie for only $196(+tx).